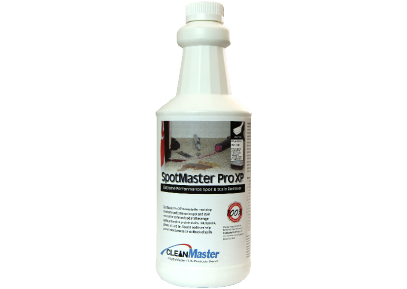 CleanMaster manufactures a complete line of spot and stain treatments for the effective removal and elimination of even the most suborn stains, SpotMaster Pro XP serves as the cleaning professional’s first response solution to a wide variety of common food and beverage spills onto carpet and upholstery, effectively removing 90% or more of spilled materials completely. Now with the synergistic addition of specialized surfactants, stain eliminators, plant derived solvents, and encapsulating polymers, CleanMaster has formulated the solvent soluble spot and stain removing power of a volatile solvent, non-volatile solvent, and POG into one specialized thickened, gelled solution with SpotMaster Gel XP. 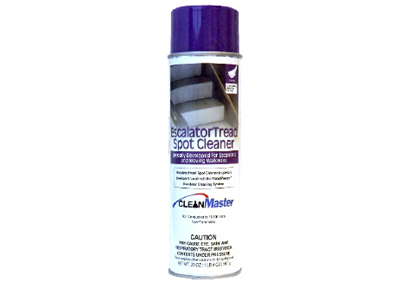 The gelled solution sits on the spot rather than immediately absorbing down into the carpet like a typical solvent spotter does. 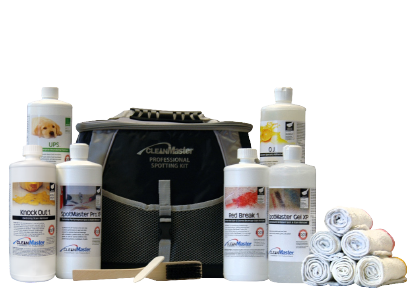 SpotMaster Gel XP is designed to effectively remove or lighten all kinds of stain causing inks (ballpoint, duplicating, ink jet, stamp pad, permanent marker, and more) along with latex, enamel, spray, and other types of paints. It can also be used effectively to break down hardened and oxidized grease and oil spills, and to remove or lighten stains caused by shoe polish, nail polish, cosmetics, and tar. 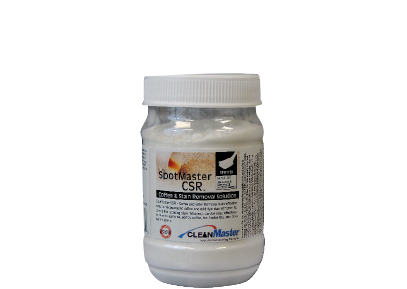 SpotMaster CSR – Coffee and Stain Remover is an effective, easy to mix powdered coffee and mild dye stain remover. As a modified reducing stain remover, it can be used effectively to remove stains caused by coffee, tea, herbal tea, and other tannin stains. 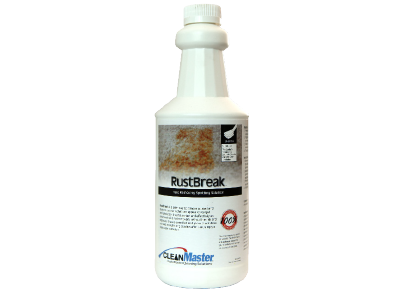 RustBreak is a safer way to remove crusted and stubborn rust stains that can appear on carpet and upholstery. 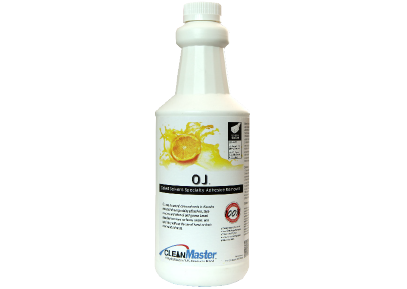 It works as fast and effectively as other harsh acid rust removers, without the risk and exposure. 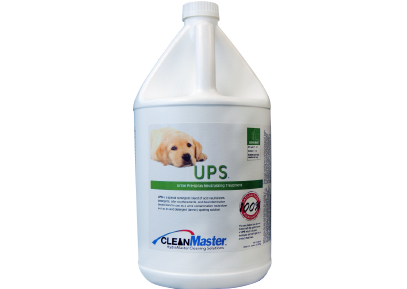 UPS is also an incredibly effective acid detergent spotter for treating tannin, salt, or alkaline based spots and spills on carpet and upholstery. It can often be used to eliminate spots caused by coffee, tea, wine, soft drinks, as well as to neutralize and break down the build-up of many ice melt compounds in carpeting. 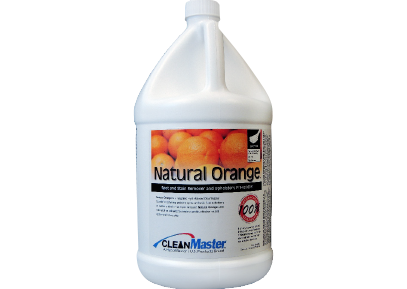 Natural Orange is a long time HydraMaster/CleanMaster favorite for removing problem spots and soils from upholstery as well as a filtration soil spot remover. Natural Orange uses natural citrus solvents to create a gentle, effective neutral spotter and pre-spotter. RedBreak 1 is a revolutionary breakthrough in stain removal science. Utilizing reducing and polymer technology, RedBreak 1 alters the structure of difficult stains by removing them or making them invisible. RedBreak 1 is designed to remove stains caused by any food or beverage with color added. Stains caused by children’s fruit drinks, sports drinks, frozen popsicles, and more can be eliminated. KnockOut 1 goes well beyond so called magic stain removers. It effectively removes most difficult stains caused by mustard, furniture stains, wood stain, stubborn urine stains, plant stains, and vomit. So stains caused by things like wine, coffee, tea, juices, berries are no match for Knock Out 1. 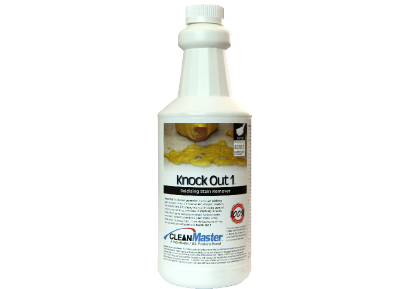 Special solvent additives allow KnockOut 1 to lighten or remove many oil based stains that other oxidizing stain removers can’t touch. Shoe polish, spray paint, and even the last traces of inks and pigments can be treated with KnockOut 1.